Concrete flooring is a common installation widely used from small domestic builds to large commercial projects, with uses varying from under-floor heating for a house project to a more robust base capable of supporting large industrial machinery or heavy traffic. At 365 concrete we use a varied range of concrete strengths to ensure the mix is the right one for your job. We have over 40 years of experience laying concrete flooring and our fully trained staff will make sure the job is finished to our high standards. Our team is on hand to ensure you get the best service available, and we pride ourselves on using only high quality and reliable materials, we simply do not believe in cutting corners when it comes to our concrete. With our fleet of Volumetric Ready Mix Concrete Trucks, we are able to mix our superior standard concrete on-site with no mess or fuss. 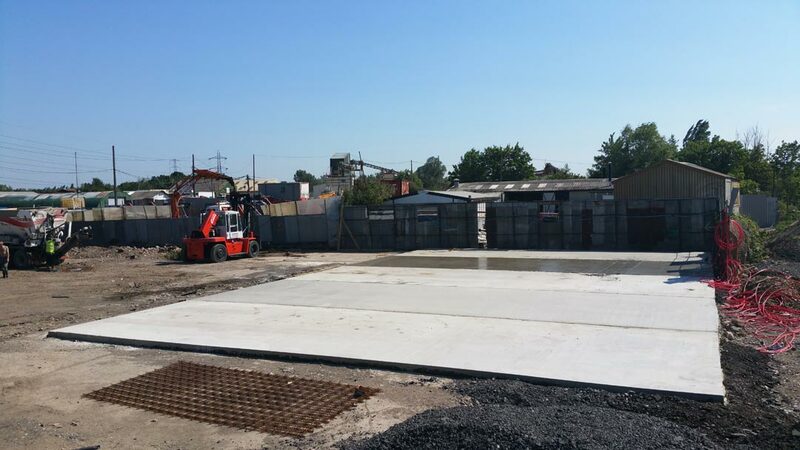 If you’re in need of high quality concrete flooring that’s built to last, then get in touch with our helpful and friendly team at 365 Concrete today! "I recently ordered 6 mtrs of concrete for a house project that I'm doing. The driver was incredibly helpful and the truck they used was able to pour straight onto the site which saved me a lot of time. Great service and decent price. Will be using them again for the rest of my project."